Our sincere thanks to Roman Koniuk, Mazen Hamadeh, Robert Tsushima, and Muhammad Yousaf for their service. · Amro Zayed (Biology) on receiving $7.2 million in joint government-industry funding from Genome Canada. Amro and Leonard Foster (University of British Columbia) are leading a research project on Canadian honey bees. · Emanuel Rosonina (Biology) on his 5-year CIHR operating grant ($514,265) entitled “Regulation of gene expression by protein simulation”. · Thilo Womelsdorf (Biology) on his 5-year CIHR operating grant ($882,060) “Mechanisms and neuromodulation of network coordination during reinforcement learning”. · Chun Peng (Biology) on her one-year bridge funding from CIHR ($100,000) awarded for the project entitled “MicroRNA-218 in trophoblast differentiation and spiral artery remodeling”. · Carol Bucking (Biology) on her Canada Foundation for Innovation (CFI) funding ($125,000) for a Centre for Integrative Laboratory and Field Physiology. · Peter Backx (Biology) on his CFI funding ($199,529) for a Centre for Cardiovascular Assessment. York alumnus Mark Lievonen (BBA ’79, MBA ’87) was named a Member of the Order of Canada for his achievements in the pharmaceutical industry and for his public engagement in health policy and research. Mark received an Honorary Doctor of Laws degree at the Spring Convocation of the Faculty of Science and Lassonde School of Engineering. 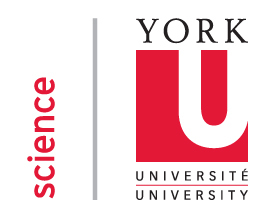 The Department of Mathematics and Statistics, with support from the Fields Institute and the Faculty of Science, is launching a “Math Circle” at York for high school students interested in developing their problem solving skills and participating in math competitions. If you know an interested student or teacher, please ask them to contact Varvara Nika (nikav@yorku.ca). 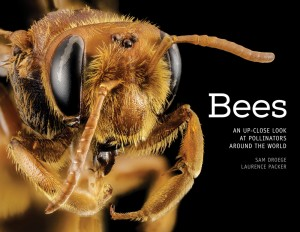 A new book by Laurence Packer (Biology) and photographer Sam Droege, In Bees: An Up-Close Look at Pollinators Around the World, features more than 100 bee species from around the world – how bees make their living, characteristic adornments, body modifications, habits and even hairstyles. Paul Delaney (NATS/Physics and Astronomy) is a featured speaker at StellarFest 2015 in New Zealand, to be held in mid-August, hosted by the Horowhenua Astronomical Society. York’s Astronomy Club organized Plutopalooza to celebrate the arrival of New Horizons to the Pluto system. Dean Ray Jayawardhana was the keynote speaker at this year’s Neutrino Day in Lead, South Dakota, and was interviewed by SDPB Radio while visiting Sanford Lab underground. A study of how climate change impacts bumblebees across two continents, conducted by a team of researchers including Laurence Packer (Biology), Sheila Colla (FES, PhD ’13 in Packer’s lab), Jeremy Kerr and Paul Galpern (PhD graduates supervised by Laurence), was published in the journal Science. Numerous media outlets reported on their findings, including the Washington Post, CBC News (The National, As it Happens), CTV News, NBC News, Globe and Mail, Ottawa Citizen. Laurence and Sheila were also interviewed by RCI, CBC Radio One, Q on CBC Radio and many others. Dawn Bazely (Biology) was interviewed by CTV News about the wild parsnip weed. Bridget Stuchbury’s purple martin project was featured on TheChathamVoice.com. Sophia Nasr, astrophysics student, president of the York astronomy club and member of the York University Observatory team, contributed the article Lifting the Veil on Pluto’s Atmosphere for Space.com‘s Expert Voices: Op-Ed & Insights. Sophia is also a science writer for Simulation Curriculum’s free Pluto Safari app. The Canadian Press interview with Jesse Rogerson (PhD student, supervisor: Patrick Hall) on the New Horizons mission to Pluto was picked up by several media outlets across the country, including Macleans.ca, thestar.com, citynews.ca, metronews.ca, and Montreal Gazette, while the Toronto Star quoted Dean Jayawardhana. Paul Delaney (Physics & Astronomy) commented on the New Horizons Pluto flyby and the new exoplanet Kepler 452b on Newstalk 1010. Alumnus Bernard ‘Patrick’ Lee (MSc, Mathematics & Statistics) shared his story on how he used education to overcome poverty. GlobalNews recommended the Observatory tours and lectures as a fun summer science activity.